The field of microfluidic flow cytometry is growing at a fast rate. 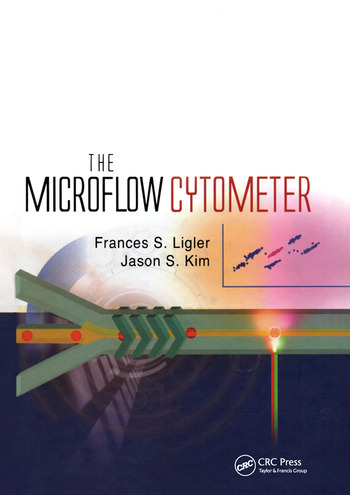 This volume describes the development of inexpensive, portable flow cytometers through incorporation of microfluidic technologies and small optical components. The book discusses the underlying microfluidic theories essential for microflow cytometry, as well as advances that are representative of the current state-of-the-art. Numerous research groups leading the field are currently presenting design and fabrication strategies for these innovative component technologies, and the book reviews integration of the components into functional prototype devices for analysis and manipulation of particles and cells. It also examines multiple currently available commercial systems to highlight both strengths and areas for improvement. Capillary Flow Cytometry, D King et al. Sheathless Particle Focusing, S Choi et al. Fluidic Control: Pumps and Valves, S Zheng et al. Electronics, J Erickson et al. Laser-based Fabrication with Integrated Optical Waveguides, M Dugan et al. Systems Integration, J Kim et al. Frances Ligler is a senior scientist at the US Naval Research Laboratory's Center for Bio/Molecular Science and Engineering. She has received numerous medals and awards, including the Women in Science and Engineering Outstanding Achievement in Science Award. "An excellent compilation. From history of the very early days of flow cytometers to the latest unique unconventional microflow cytometers. From commercialization philosophy to cutting-edge engineering designs. From fluid mechanics to optics to electronic circuit considerations. Well balanced and comprehensive." "The field of microfluidic flow cytometry is developing at a fast rate. New microdevices are being developed that are cheap, easy to use and tailored to specific applications. This book brings together a compilation of the state of the art in the field. The authors offer an in-depth insight into technology issues and future perspectives. An excellent reference for scientists and technologists developing these microsystems and for all interested in the future of microflow cytometry."